Our mission is to become your first choice for all of your insurance needs by establishing a personal relationship with you and helping you understand the risks you face every day. 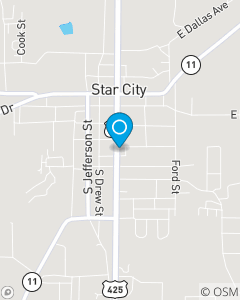 We focus on Auto Insurance, Home Insurance, Renter's Insurance, and Life Insurance throughout the Star City, AR area. When the unfortunate incidents occur, we pledge to be there to assist you through the good and bad. We are here to help you with all your insurance and financial service needs. We can help you find the right car and home coverage, a life insurance plan specifically designed for you and your family's needs, to even helping you with our banking products. We are a onestop shop focused on meeting your needs and improving your insurance experience to the highest level possible.